With the FIFA World Cup 2018 underway, you must be looking for a place to watch the action live, right? Monkey Bar has got you covered! 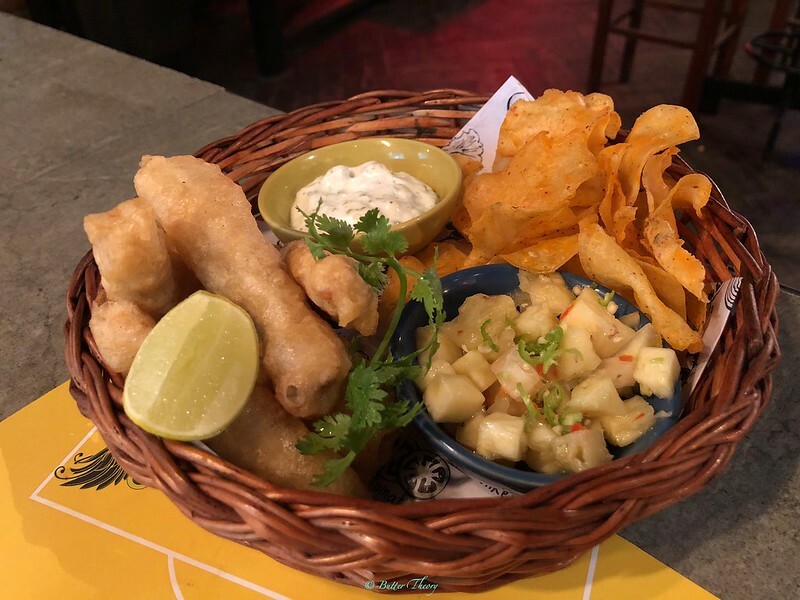 With the ‘Halftime’, their special football promotion, you’re guaranteed a lively atmosphere, delectable food, some amazing offers on drinks and an unmatched crowd! So, put on your favorite team’s jersey and come on in for a memorable 90 minutes of adrenaline pumping experience, for the remainder of the Cup. 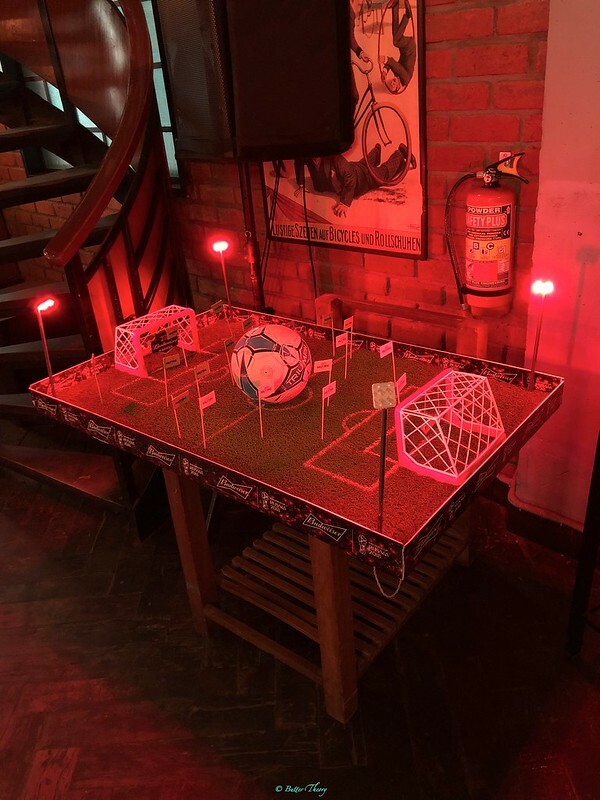 I promise it’s not just going to be large HD screens to watch the action live, but there are a few indoor games like Flip Cup, Beer Relay and Foosball to feed the sporting spirit within you 🙂 Experience the Russian vibes at your nearest Monkey Bar! Monkey Bar, FIFA World Cup colors! Their best cocktails are on 1+1 offer and the bigger the group you go with, the better the offers seem. I had my favorite cocktail – Mangaa, a beautiful Aam Panna based cocktail with a vodka base. There are 8 amazing dishes to choose from and I picked dishes my favorite 4 off it! 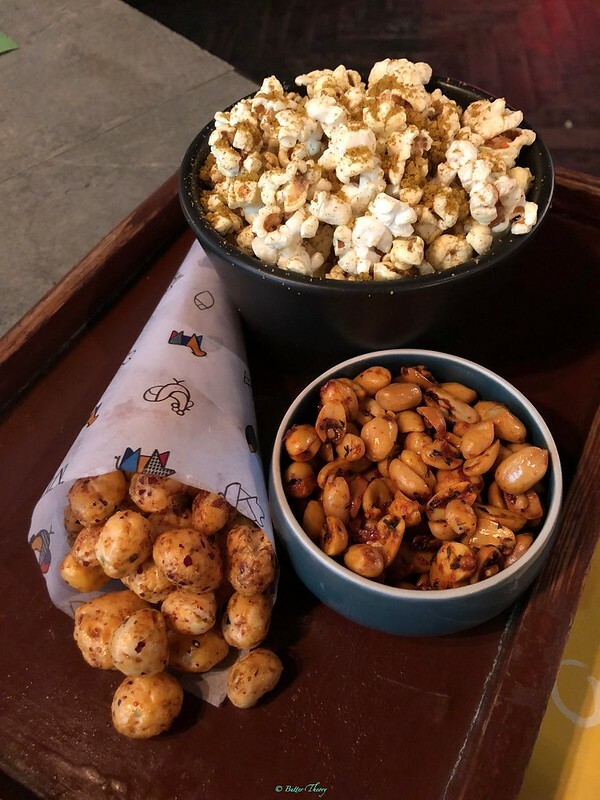 This dish has 2 of the most popular snacks – Curry & Parmesan Popcorn & Rosemary coated peanuts and the newest fad in town – Foxnuts in honey and togarishi. Tacos; Soft flour tortilla, honey & chipotle chicken, pico de gallo, cheddar cheese and sour cream. This has to be my favorite from the menu. The chicken was just cooked to perfection. Chicken in Sriracha Sauce, cream cheese and jalapeños served with in house corn chips. This is a pleasant change from the usual Nachos we’re so used to(read bored of). 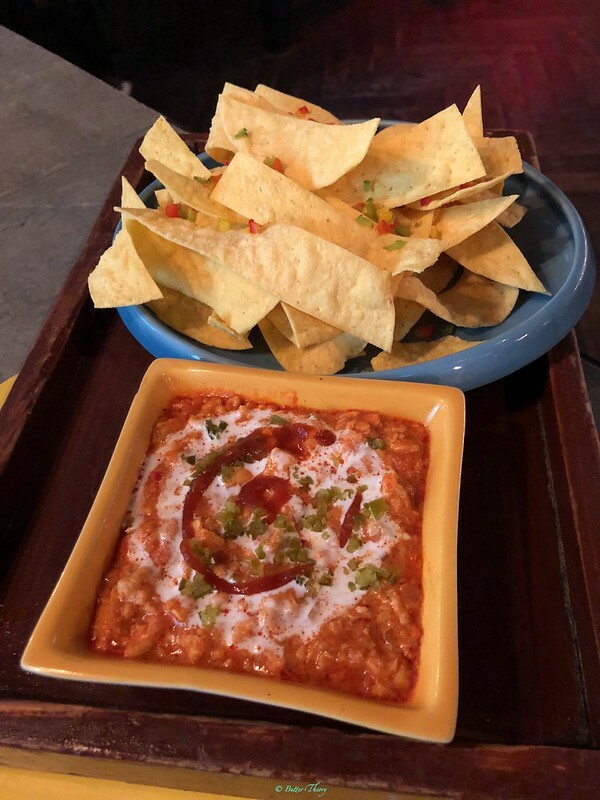 The creamy chicken with a hint of spice from the jalapeños is a pretty good accompaniment to the Chips! This I hear is the crowd favorite from the Halftime menu. One bite into the batter fried fish fingers and I understood why. Their take on the classic Fish & Chips is quite nice. It’s served with a cheesy dip and that’s the only thing wrong with this. It would be nice to have a different and spicier dip along with this. I had to order my favorite appetizer from their regular menu. The sweet, sour and spicy wok tossed chicken tantalizes your taste buds. 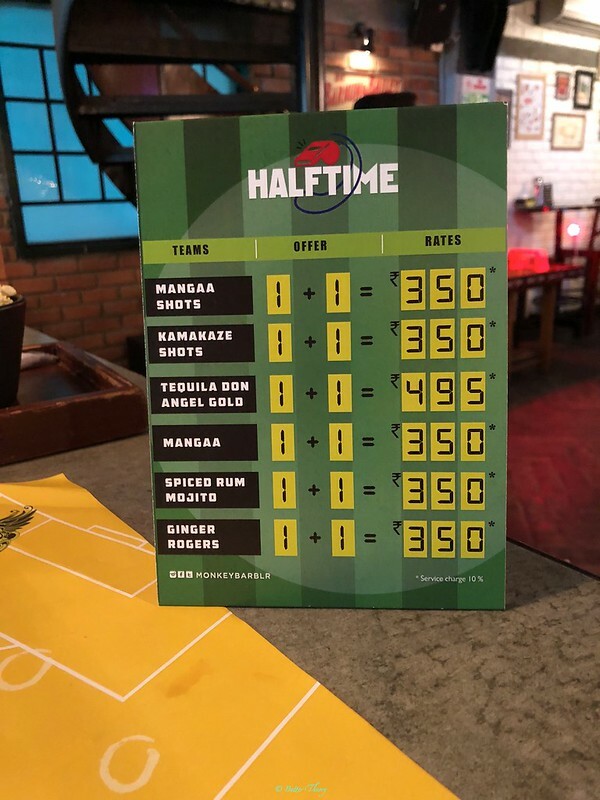 The Halftime menu is available until the end of the World Cup, July 14th 2018. Don’t wait up, head to Monkey Bar this week as the atmosphere is only getting better with the knockout stages underway!